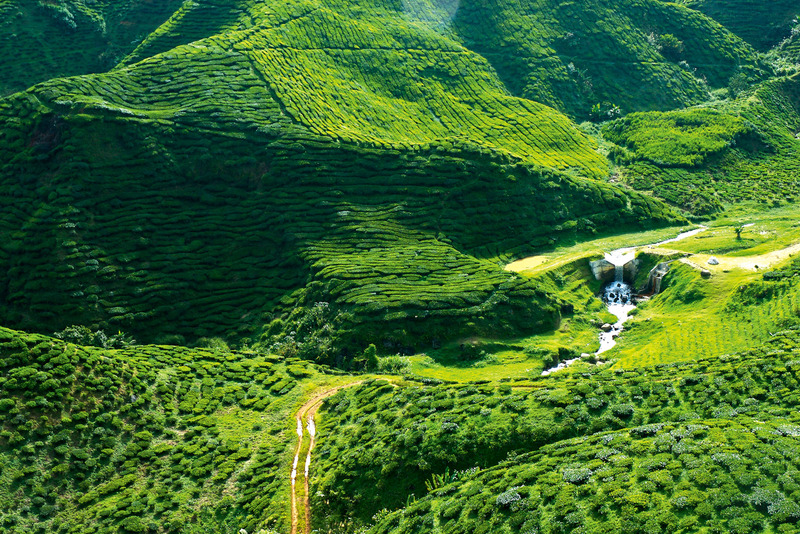 A verdant green, the Cameron Highlands north of Kuala Lumpur is a place of fantastical beauty. 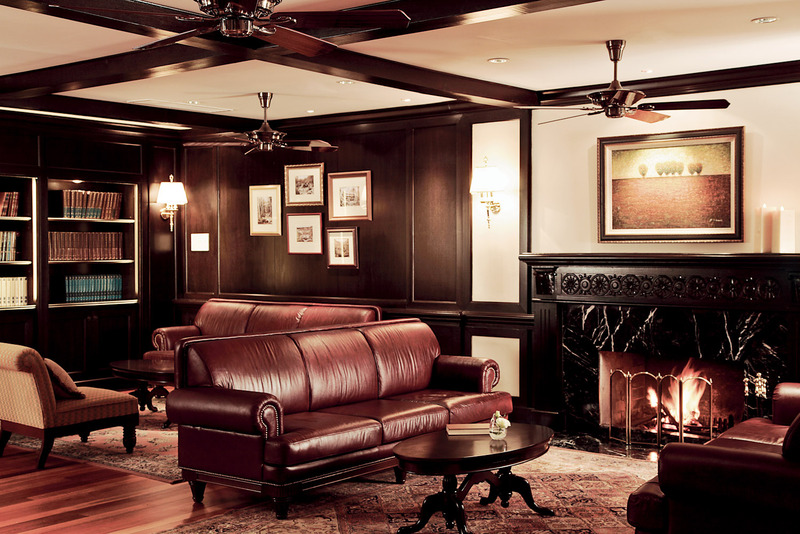 The suave colonial-style of the Cameron Highlands Resort Lounge, once frequented by the mysterious Jim Thompson. Guests at Cameron Highlands Resort can enjoy an exclusive picnic among the tea bushes at BOH tea plantation. 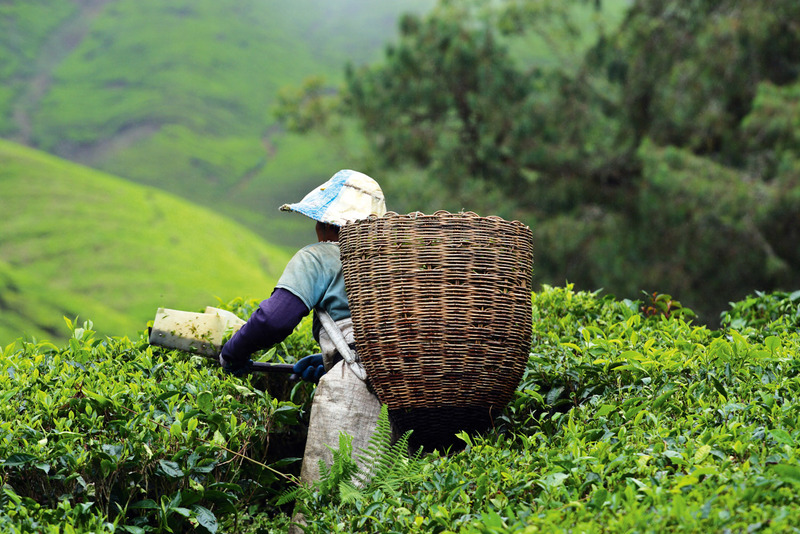 Tea has been a driving force of the economy in the Cameron Highlands since the days of British colonists. 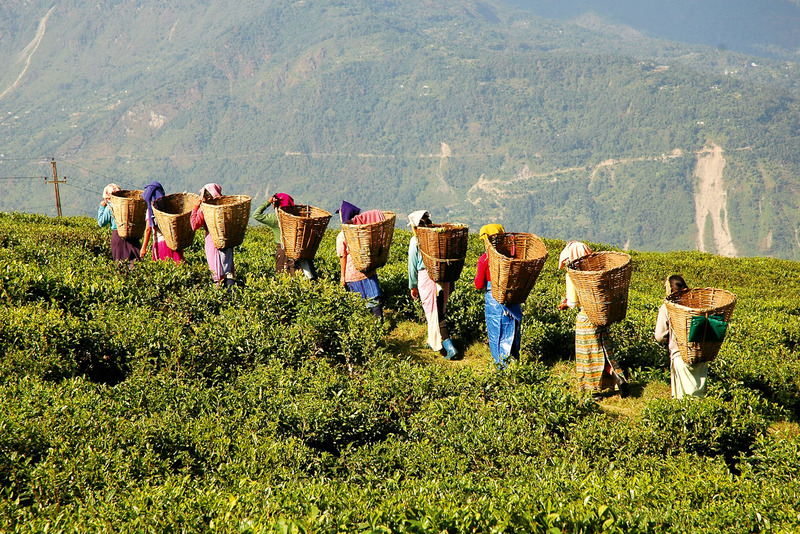 Many people work at the surrounding tea plantations, harvesting tea leaves. A local strawberry farmer at work. 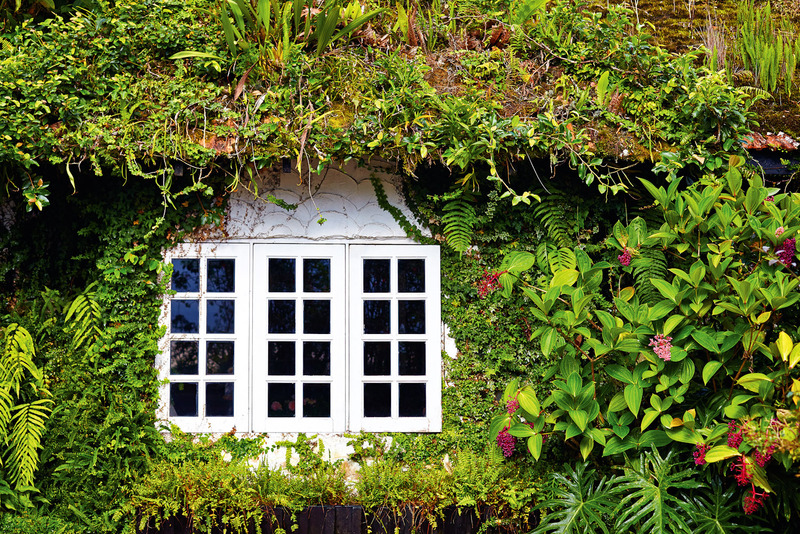 British colonials built picture-perfect English cottages like this one in the Malaysian highlands. 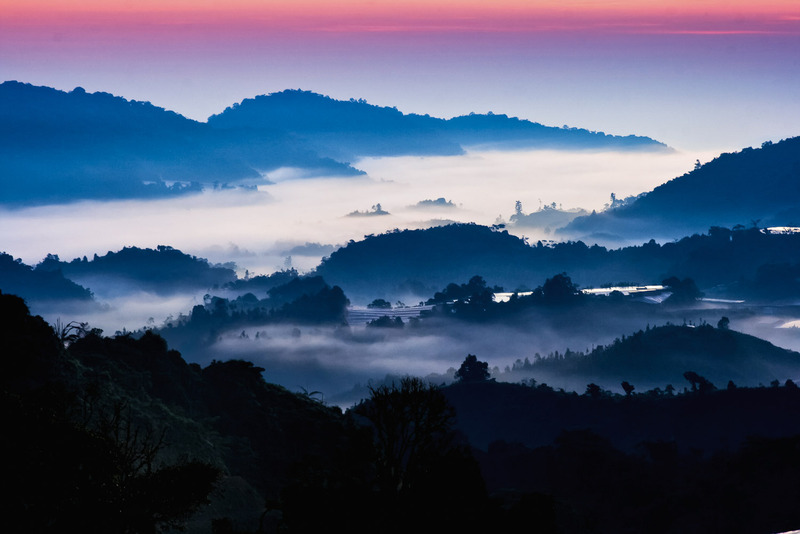 Mist engulfs the string of hilltop villages and surrounding jungle that make up the Cameron Highlands, collectively covering the same area as Singapore. Jim Thompson, a US-expatriate, former CIA agent and renowned Thai silk entrepreneur, is sitting in the lavish lounge of the Cameron Highlands Resort sipping his afternoon tea, as he often does. Surrounded by chandeliers and antique furnishings, the day seems like any other in his colourful life. But just two months later, on Easter Sunday, following an afternoon stroll through nearby forest, Thompson would disappear forever. It’s a mystery that has become ingrained in local legend in the Cameron Highlands, an alpine plateau in Malaysia’s northern heartland about 200 windy kilometres north of Kuala Lumpur. As the Blue Mountains are to Sydney, so the Cameron Highlands are to KL: a weekend favourite for the city’s well-heeled and overheated. In fact, the cool climate here appealed so much to British colonials in the early 20th century (clearly not accustomed to the lowland tropical heat), they built nostalgic reconstructions of English cottages, gardens and tea lounges, now deeply woven into the region’s appeal. Today the area is a peaceful oasis characterised by its terraced tea plantations, idyllic strawberry farms and old English charm. Time moves as slow as the afternoon mist that blankets the string of hilltop villages and surrounding jungle that collectively covers the same area as Singapore. Suffice to say, it’s certainly not a likely setting for foul play. Of course, like all good mysteries there have been more theories behind the curious case of Mr Thompson than there are local fig trees (and that’s a lot – there are over 70 species that grow here), points out my tour guide Madi, a naturalist at Cameron Highlands Resort. As we traipse along what has now been dubbed the ‘Jim Thompson Mystery Trail’ – a short stroll through local forest where Thompson is said to have gone for that fateful walk – Madi speculates. “There have been tigers spotted in these jungles,” he reveals off-handedly, while I swiftly scan the area for any rustling bushes. “People say there are still wild boars and leopards too, but no remains were ever found. Stranger still, Madi explains that in the years that followed Thompson’s disappearance, his girlfriend at the time also went missing, as did his personal driver and some of his business partners, while his sister back in the US was later found murdered. Throw the whispers of drug smuggling and mistresses into the mix and it’s the kind of story worthy of a Spielberg biopic. Suddenly the track comes to an end and through a wall of greenery we climb out onto a narrow road. “This is where he was last seen getting into a car – a lady cutting bananas saw him,” says Madi, scraping his shoe across the asphalt. Like any good game of Chinese whispers, it seems everyone in town subscribes to a different theory on what happened next. Some say it was militants in the car with Thompson, others claim to have seen him climb into a helicopter atop a nearby hill. There have even been alleged sightings of him boarding a cargo ship in Penang. Needless to say, our rest and respite in the Cameron Highlands doesn’t end as dramatically as Thompson’s. There are many more nature walks that thread through these hills – a popular drawcard for travellers seeking a dose of fresh mountain air – and all devoid of mystery. Ranging in difficulty (you’ll need to arrange a guide), local trails are laced with a unique assortment of plant life, from orchids and begonias through to various ferns and oaks. Most notable though is the Rafflesia flower (the largest individual flower on Earth), which was once found in these forests. “It was found again recently, until the area was bulldozed for agriculture,” says Madi, an avid environmentalist. It’s a complex conflict of interests that has long plagued the region – stunning wild jungles and booming agriculture both fighting for the highlands’ prized clay earth. While it seems like a no-brainer which one should be preserved, I’m reminded that it is the tea plantations that essentially put the area on the map before its transformation into a major tourist destination. Today the plantations draw a multitude of visitors each year. Among the largest producers is BOH, its estate sprawling over 3000 hectares. At BOH’s Sungei Palas Tea Centre you can pick up all manner of cuppa keepsakes, learn about the process from teabush to teacup, and even picnic among the tea gardens. 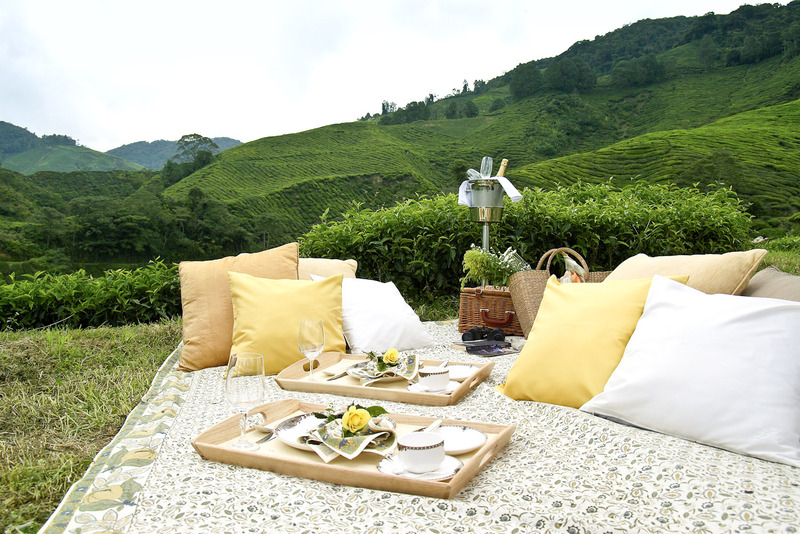 An experience exclusive to guests back at Cameron Highlands Resort, my party of four and I arrive on a secluded hilltop where among the thick carpet of tea bushes is an expectant picnic blanket, adorned with wine glasses and glossy white plates. “Champagne or juice?” questions our white-blazered butler. The next two hours are spent feasting on platefuls of sandwiches, petits fours and local tea, overlooking the rolling valleys under a sea of verdant green. If there’s one way to experience highlands tea, this is it. As we’re chauffeured back to the resort, strawberry-themed souvenir shops and hand-painted ‘pick your own’ signs stream by, as do various nurseries, a lavender farm, a butterfly farm… just add rainbows and unicorns and it’s the makings of a children’s storybook. 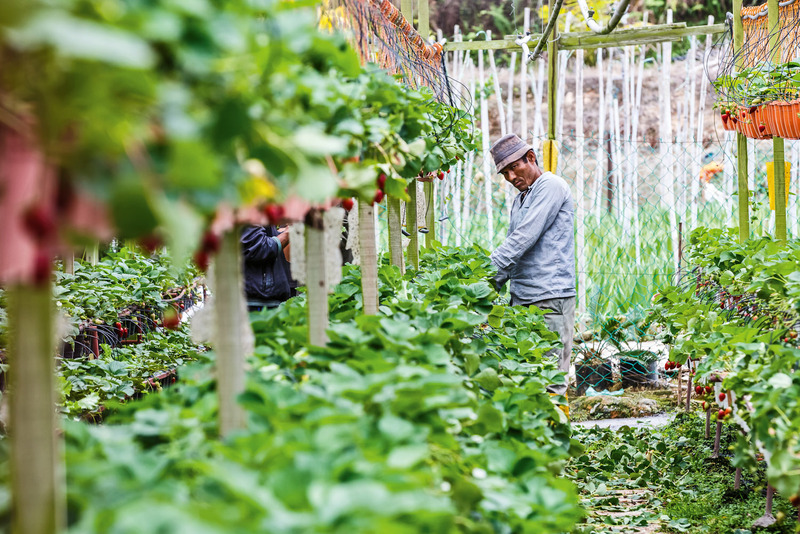 Indeed, the cool climate and fertile soil that has blessed the highlands with picturesque wilds also makes it an ideal centre for cultivating strawberries. And it is the resort’s signature spa treatment – ‘Fresh Strawberry Escapade’ – that proves the most indulgent way to experience this famed produce. Beginning with a tea and strawberry bath, followed by a body wrap of fresh strawberries, yoghurt and crushed oatmeal, and topped off with an aroma massage using, you guessed it, strawberry oil – I feel as good as I smell. I return to my room to a plate of chocolate-coated strawberries – it seems you can never have too much of a good thing. Resting them on my lap while sitting on the balcony, I sip tea admiring misty blue peaks. Life is good; I just hope that Thompson is this peaceful, wherever he is. From Kuala Lumpur the Cameron Highlands is roughly 200 kilometres north, but due to the tight, windy roads, it can be a three-hour drive to get there. Malaysian Airlines flies daily between Kuala Lumpur and major Australian airports from $723 return. Opposite the golf course in Tanah Rata, this historical property combines elegant colonial design with local influences. Think plush four-poster beds and silk cushions, impressive restaurants with western classics alongside Malaysian specialties. With an onsite spa, snooker room and ‘Jim Thompson boutique’ to boot, this is the quintessential Cameron Highlands stay from $370 a night. You can also enjoy a traditional afternoon tea here as Jim did for an extra $16, or $31 for a couple. BOH’s famed ‘Cameronian Gold’ tea blend, and a new appreciation for your morning brew.